ShadyDub wrote: Oh, damn it! In any case, I'm sure that with a little extra work using the various tools that 3ds Max offers, probably is possible soften the elements with too few polygons and so on. 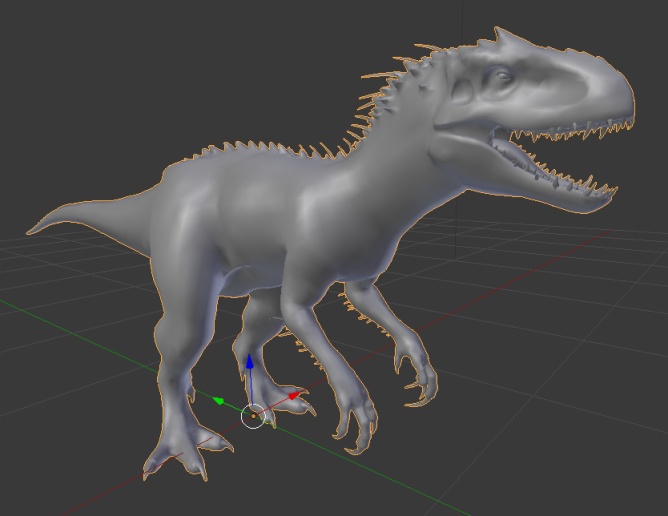 I know that he worked on a Blender tool, cause.. we worked more or less together on this project... but it isn't done so far "sadly"..
Can anybody please point me how to extract animations, I am a noob but passionate to learn. Last edited by samsharam on Wed Jan 02, 2019 8:27 pm, edited 1 time in total. They are NOT supported by the tool. So I've extracted the ovl files with the tool and have the textures, but Noesis can't open them nor can a dds converter convert them. Anyone have a way to get the textures on the model so I can see them? It seems very convoluted. Ah, yes you're right. Noesis couldn't do it since I hadn't downloaded the update. Now, if you had finalized the program so that it would extract and animation, it would be very cool. And now the skeleton that is extracted with the models is absolutely useless. It can benefit only professional animators. I hope you will hear me, and make it so that the animations are extracted, too. Firephoenix1342 wrote: And now the skeleton that is extracted with the models is absolutely useless. Your so wrong on so many levels I don't even know where to begin, a static character mesh with out its original skeleton might be considered useless, maybe, because it would require someone to create another from scratch in its desired 3D software, and it would never match original skeleton with original weights and all data, but once you have original skeleton its golden, pure perfection I might add, be thankful it exists already and fully reversed. Firephoenix1342 wrote: It can benefit only professional animators. 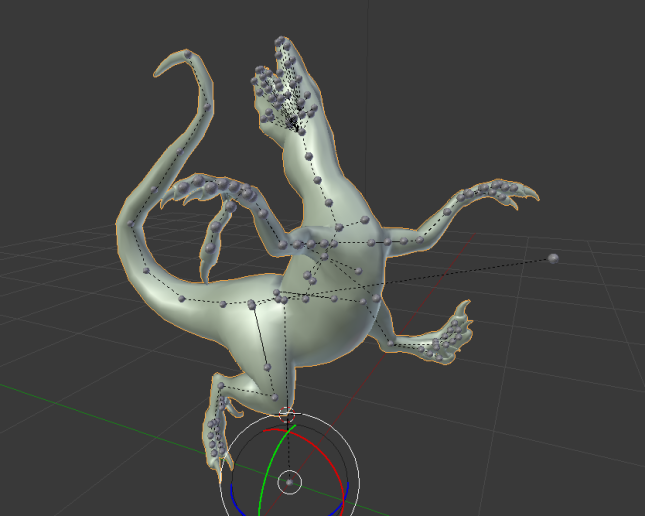 Wrong, wrong, wrong even the most noob/beginner can pose an original skeletal mesh, these models are NOT limited to a pro only, anyone can use it and pose/animate it how ever they see fit like any other skeletal mesh. Just because the tool does NOT export in-game animations to a known format its another story, they are NOT easy to reverse, animations in general take weeks/months of intense hard reversing depending on the format/engine. I understand that it is difficult. But it would be good, because in this game there are great animations. And yet the animator from me no. That's why I ask someone to do extrator animations. Thouse numXX are driving me nuts. That might be reflector decompiled variables names wrong or you actually named them numXX? Anyways, can you DM me source code or just explain what happaning in your tool? isocloud wrote: What would I have to offer to get animation support? Would like to import into Ark for mods etc. I can make a donation for the time of work required! So you still will not remove the animation? It is a pity((, please make at least a tutorial on creating such programs for extracting ovl files. To be able to do it yourself. Firephoenix1342 wrote: please make at least a tutorial on creating such programs for extracting ovl files. To be able to do it yourself. If you think you can do it yourself, you don't need a tutorial. Animations is the hardest task in game reversing. If you think you can do such things, you must be very good coder and reverse engineer. Such people don't need tutorials. Sad but okay so be it, I will accept this. Firephoenix1342, so you're at least able to extract/import models like vehicles and so on? Sorry for the shameless plug After the game came out last year I put together a tool called Barbasol for extracting and injecting meta data (and some experimental mdl2/tex parsing), never got around to finish it, but it might help some of you out! Have a nice day guys!